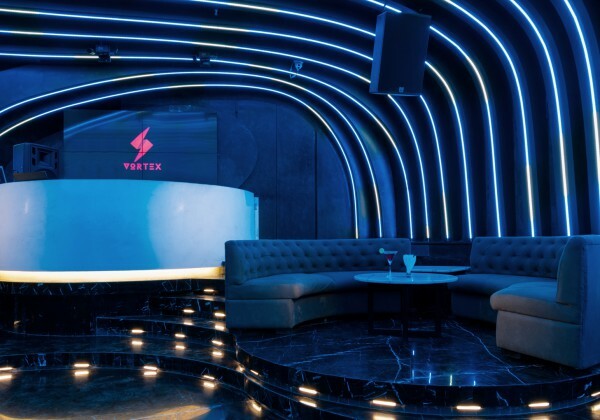 Project – Vortex West Status: Constructed Vortex West is a one of a kind nightclub is located in the heart of Mumbai, off the linking road in Bandra. 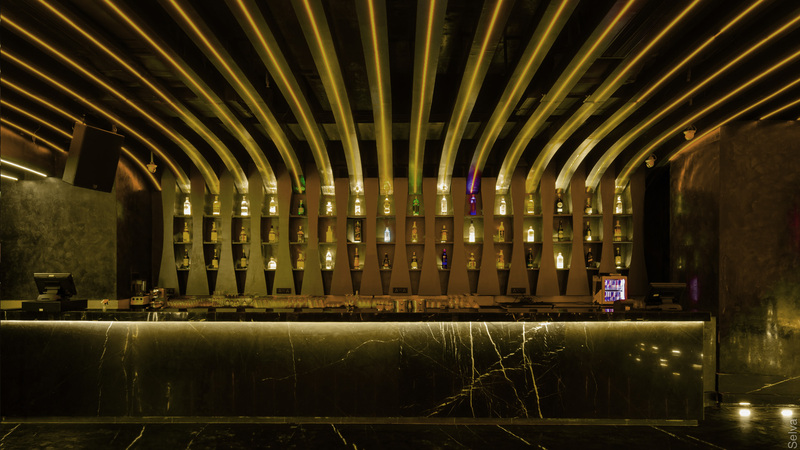 It sprawls across 2000 sq. 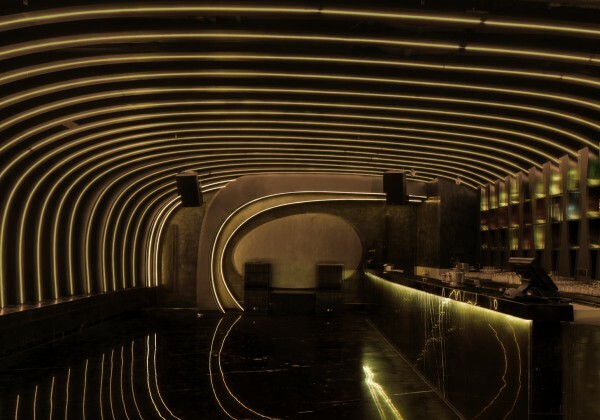 ft. space and boasts a large dance floor and a bar. 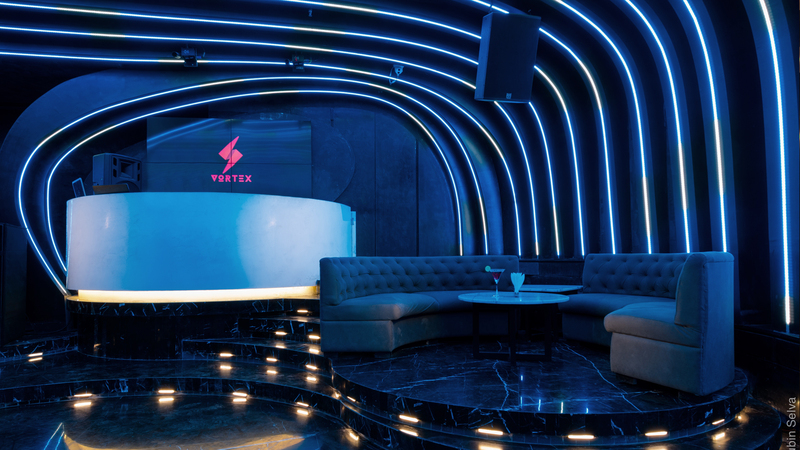 The design brief was a simple yet challenging one; the client wanted us to make a space which will embody the word Vortex and all it entails. 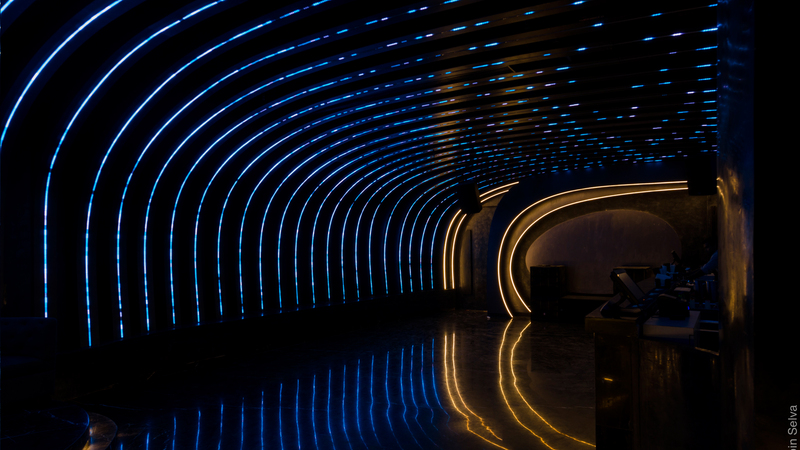 The idea was to create a futuristic space which has lighting and architecture design integrated seamlessly to seem like one. 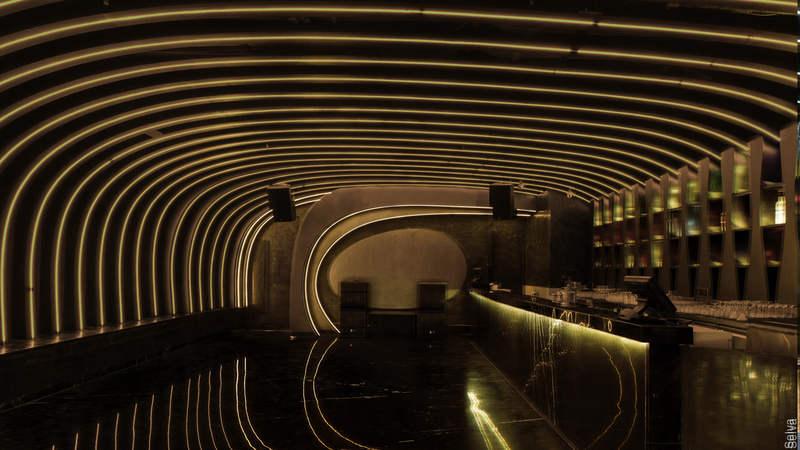 The entire length of the club was curved up to create a converging point at the end of the space symbolizing a vortex and the main DJ unit was planned at this center focus point. 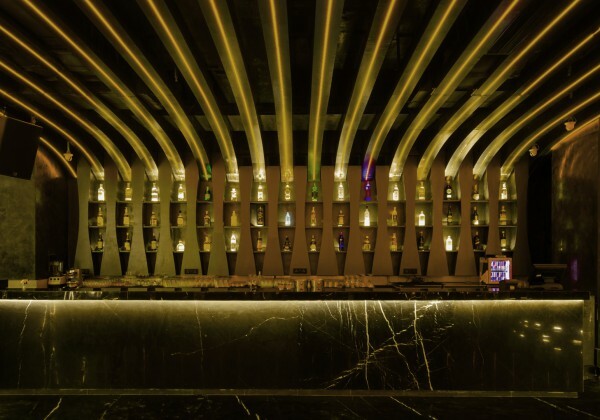 The flow of people and their movement in the space was the first step towards design decisions. 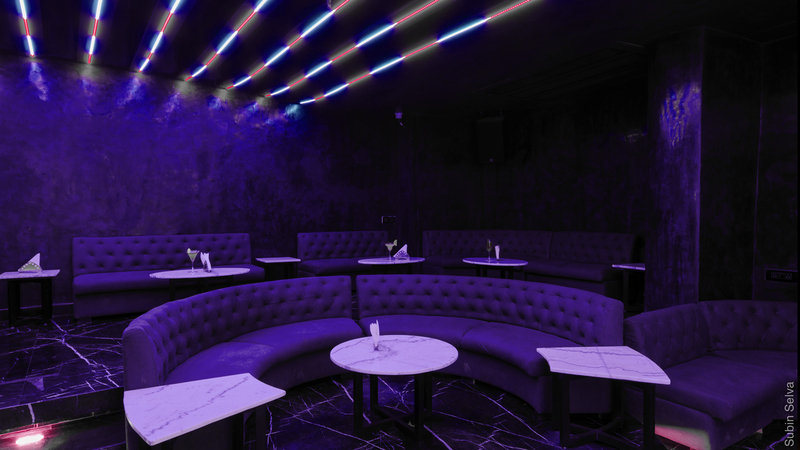 We needed to ensure smooth passage for people since nightclubs generally tend to get overcrowded and maneuvering through the space becomes very difficult. The entrance leads one to a completely open space. 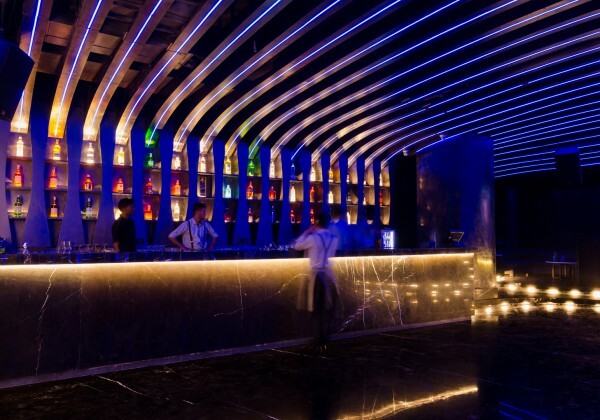 The bar was planned here one side to facilitate easy access from the dance floor. 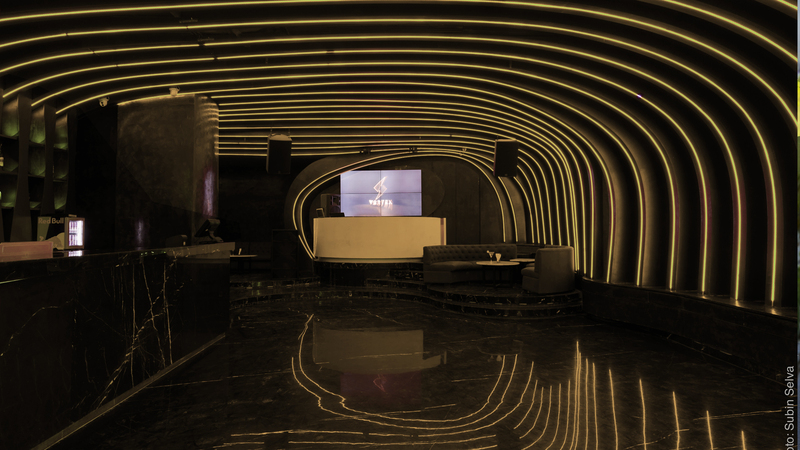 Space culminated with the DJ console and raised platforms for dances. 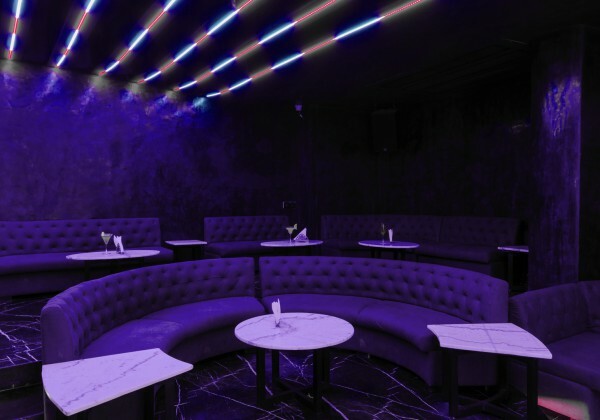 The entire space being L shaped we had an opportunity to create VIP seating area and lounge in the part next to the DJ console. The 3D morphology of the space is a combination of the planning concept and the term Vortex. The main wall that runs from the entrance to the back wall is completely curved up and it forms the key element of the space. This shape was achieved with complex 3D computation technology wherein the shape was derived with certain structural parameters and the desired output requirements. This shape was then converted into panels which could be digitally fabricated using a CNC machine and retrofitted on site. 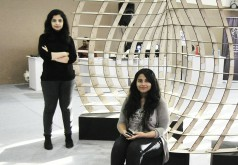 We had a total of 50 such portals each of which comprised of around 10 eight feet by 4 feet CNC cut sheets. 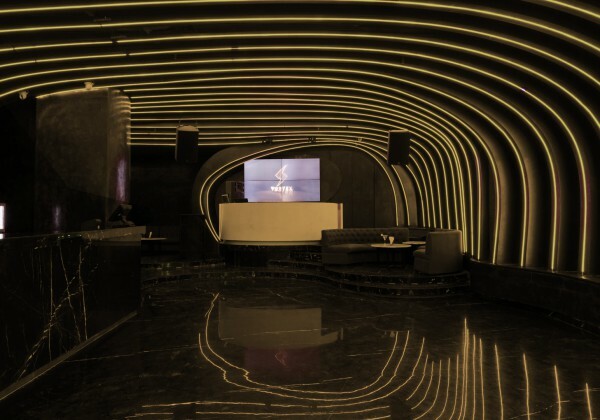 The entire portals had to be sound absorbent and conducive to loud music played in the club, the materials used were dependent on this. 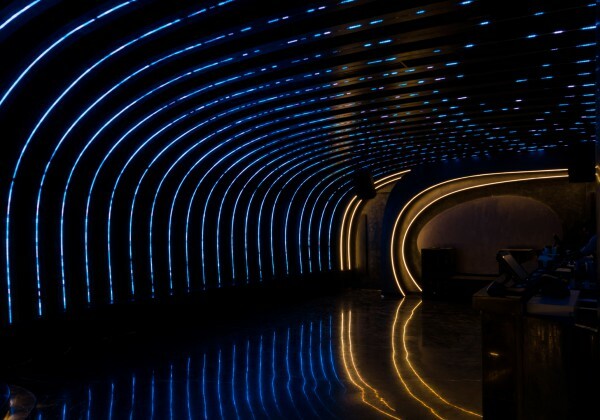 These portals also had LED light strip running through them which were all connected to each other via loops so that the entire club can have music coordinated lighting at all times which almost looked like circular lighting patterns running throughout the club. 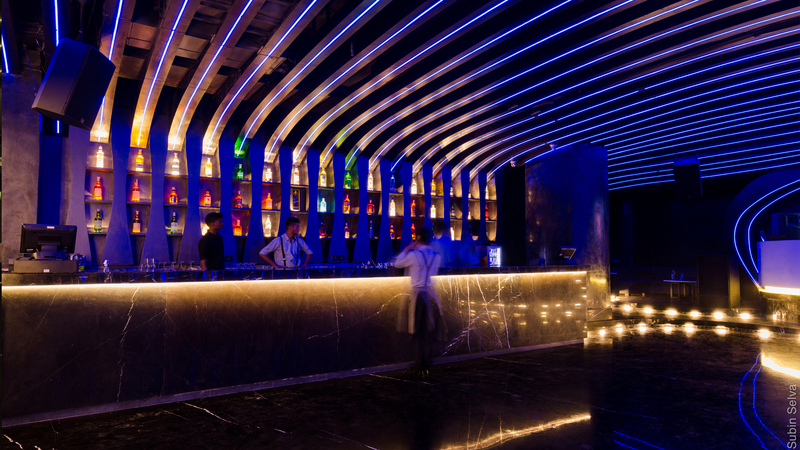 It offers a sensory experience to the guests, who are invited to play with the light of the landscape composed of lines and curves which culminate in a vibrant, ephemeral & interactive interior space.